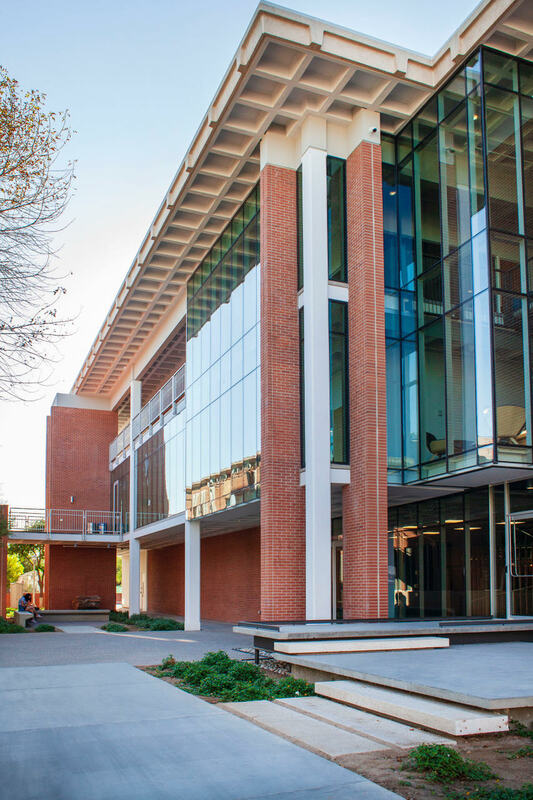 The 59,000 SF project transformed an outdated, inward-turning, classroom building – known as the “C Building” – into a teaching facility for chemistry, physics, geology, astronomy, and engineering. 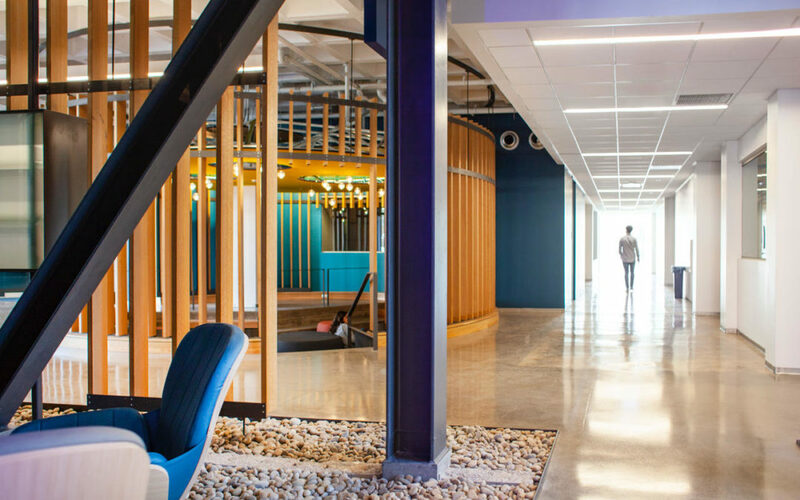 PHOENIX, ARIZ. (October 23, 2018) – Holly Street Studio has renovated and transformed a classic 1960s building designed by a renowned Phoenix architect into a modern teaching facility on the campus of Phoenix College. 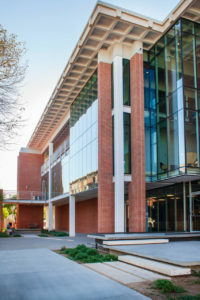 The exterior of the $12.4 million Phoenix College Physical Sciences Building. The Phoenix-based architecture firm and the Maricopa Community Colleges District plan to unveil the $12.4 million Phoenix College Physical Sciences Building, 1202 W. Thomas Rd., at an open house on Nov. 1. The 59,000 SF project transformed an outdated, inward-turning, classroom building – known as “Building C” – into a teaching facility for chemistry, physics, geology, astronomy, and engineering. It integrates instructional and operational facilities, resources, and personnel of the Physical Sciences Department. It provides an environment that enhances opportunities for faculty members to share ideas and develop interdisciplinary content and resources. 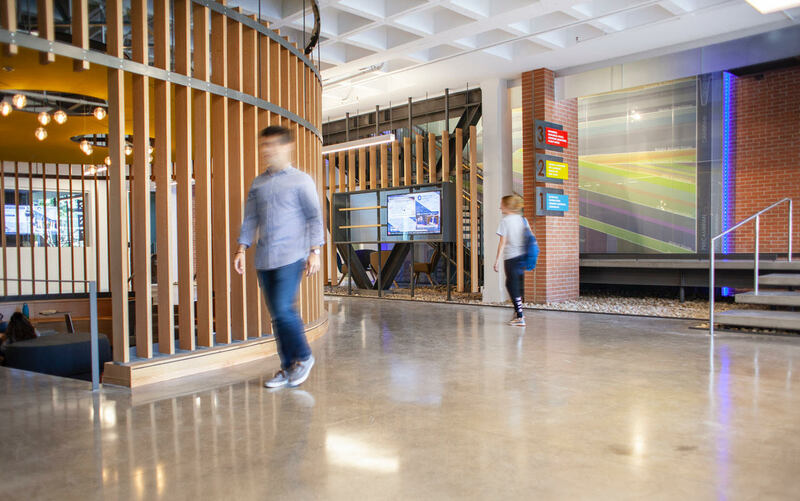 The new layout invites students from all programs at Phoenix College to collaborate and connect to one another via new interior and exterior gathering spaces beyond the new labs and science classrooms. Originally built in 1969, the Phoenix College Building C served students of nursing, allied health, and chemistry programs for almost 40 years. With its soaring columns and waffle deck floors, the building is an example of the design prevalent in Phoenix during the 1960s. It was designed by Phoenix architect Ralph Haver. The project team comprises Ryan Companies, construction management; Research Facilities Design, lab consultant; ICDS, mechanical and plumbing engineer; Woodward Engineering, electrical; Floor Associates, landscape architect; and Dibble Engineering, civil engineer.